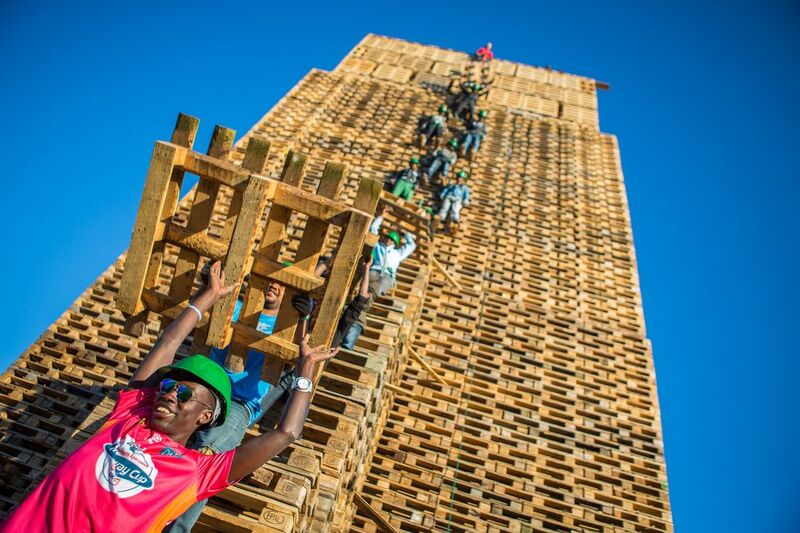 Norwegian youths have taken bonfires to the next level by building a bonfire over 47 metres high and setting a world record for their endeavors. Each year, Ålesund. 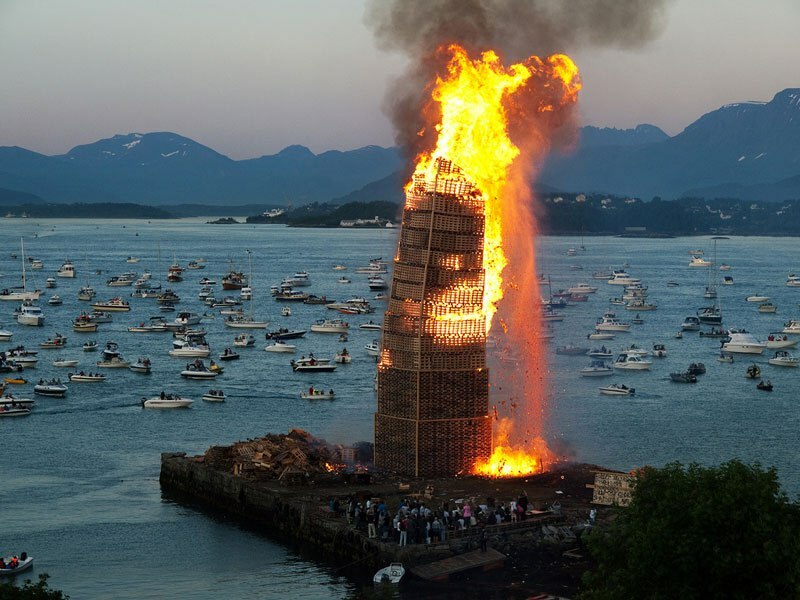 a small town on the Western coast of Norway, buikds a bonfire to celebrate Sankthansaften, also known as St. John’s Eve, a traditional summer solstice festival. 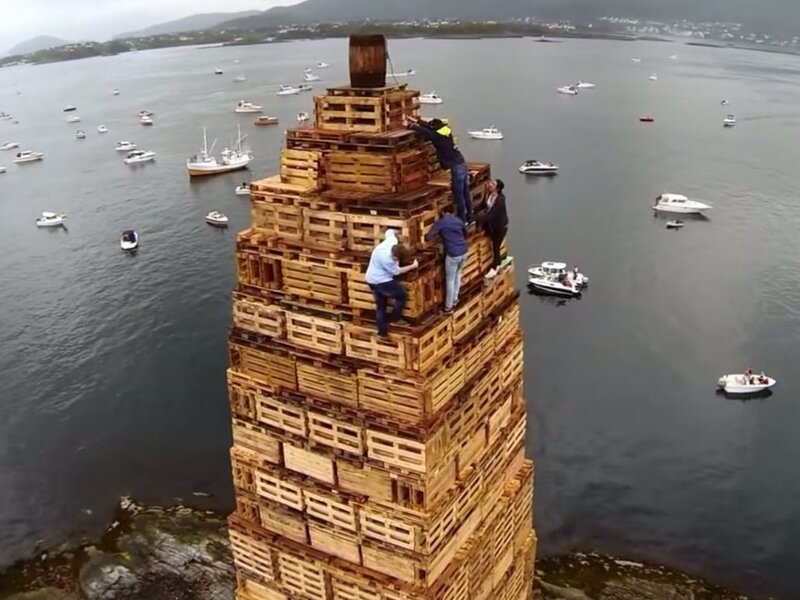 The bonfire made from wooden pallets and crates and erected next to the sea has been getting higher and higher each year and on 25 june 2016 reached record heights of 155 feet. For the pyromaniacs among you, watch the spectacular bonfire burn captured by drone.